The desire to address all economic challenges at once may affect the implementation of Tanzania’s development goals, a Cabinet minister said yesterday. 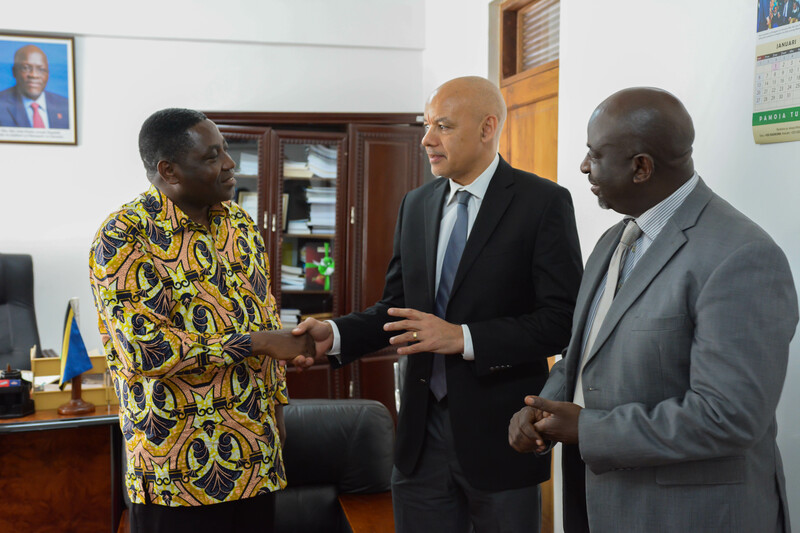 Finance and Planning minister Philip Mpango said in Dar es Salaam that both the Five Year Development Plan 1 (FYDP 1) and FYDP 2 suffered from the zeal of trying to address all economic challenges at once. “In retrospect, I personally find both the FYDP 1 and FYDP 2 to be suffering from the zeal or over-ambition of attempting to address all economy-wide gaps at once,” Dr Mpango said when he graced the launch of the book titled Tanzania’s Industrialisation Journey, 2016-2056. President John Magufuli penned the foreword of the book co-authored by prominent businessman Ali Mufuruki; Dar es Salaam Stock Exchange CEO Moremi Marwa; business development manager at General Electric Gilman Kasiga and a student pursuing a master’s degree in China, Mr Rahim Mawji. Dr Mpango, who was deeply involved in formulating FYDP 1 and FYDP 2 during his time as head of the Planning Commission in the President’s Office, said even the role of the private sector in the implementation of the plans could have been better spelt out. Among the issues highlighted in the plans and which need to be addressed are poor infrastructure, weak human capital base, low productivity across boards, weak political institutions, poor governance and underdeveloped financial markets. By the time FYDP 2 was being adopted last year, a number of goals spelt out in FYDP 1 had not been attained. They include the desire to raise the share of manufacturing in GDP, the country’s share of world trade and its rank on the World Bank Doing Business indicators and tax revenues. It appeared that the budgeting and revenue targets were not realistic. That notwithstanding, however, in June last year, the country adopted the FYDP 2, whose implementation requires a staggering Sh107 trillion – to be sourced from both the public and private sectors – in five years. While advocating protectionism and government backing as the best way to achieve the much needed industrial economy, the book’s authors also believe that the country needs to put its priorities right instead of trying to develop almost everything using the available meagre resources. Mr Mufuruki, Mr Marwa, Mr Kasiga and Mr Mawji highlight several issues that need to be addressed for Tanzania to successfully move through a 40-year industrialisation journey starting 2016. The issues including setting out priorities, dealing with energy, revamping the education systems, new ways of mobilising capital and economic patriotism. On energy, the authors argue that Africa and Tanzania, in particular, needs a new, affordable, accessible and abundantly available source of energy to develop. The continent also needs associated value chains and technologies to be found and harnessed by Africans, with solar power high on the cards. Commenting on some of the issues highlighted in the book, said certain issues, may not go down well with election promises. Dr Mpango said he much as he concurred with the authors on the need to experiment in one or two industrial or cities before rolling them out to the whole nation in calculated steps over several years, he was of the view that industrialisation should initially focus on subsectors where there are proven and tested successes at least in terms of share in the domestic market and penetration into regional ones and beyond. To industrialise the country, the authors argue, Tanzania needs to adopt a strategy that will ensure that it imports only those goods and products that are not readily available locally and regionally. In 2014 for instance, they write, Tanzania imported consumer goods amounting to $2.6 billion which was 23 percent of the total value of goods imported into the country. Mr Mufuruki, Mr Marwa, Mr Kasiga and Mr Mawji, however, are of the view that many of these products could be clearly and easily manufactured domestically. Similarly, the country’s intermediate goods and capital goods importation stood at $4.8 billion and $3.5 billion respectively. “Some of these such as fertilisers, some industrial raw materials and some building and construction materials, can easily be produced in Tanzania….With these industries, Tanzania could also produce parts of machinery and transport equipment,” the authors say. Similarly, the authors believe that a deliberate move by the government to purchase much of its requirements – including furniture office stationery, water and tea for consumption building materials and protective helmets for their road and building projects – locally bring the much-needed boost to local industries. Both Dr Mpango and the authors concur on the need to protect and nurture the growth of firms like Bakhressa Group and Mohammed Enterprises Limited which initially started by providing the local market with its needs before expanding to become forces to reckon with in the regional spheres.